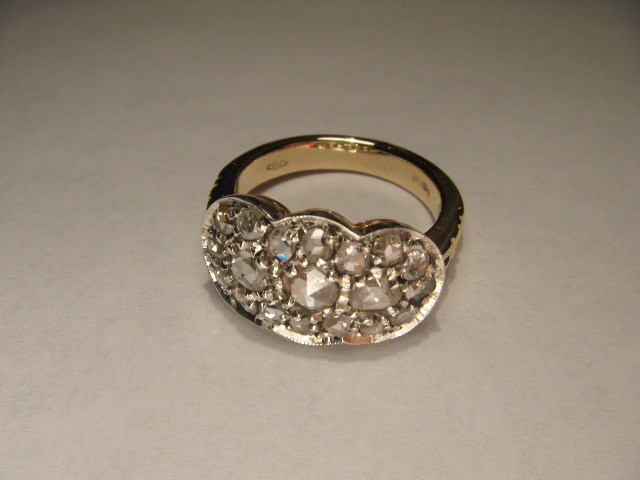 14K yellow gold diamond ring. 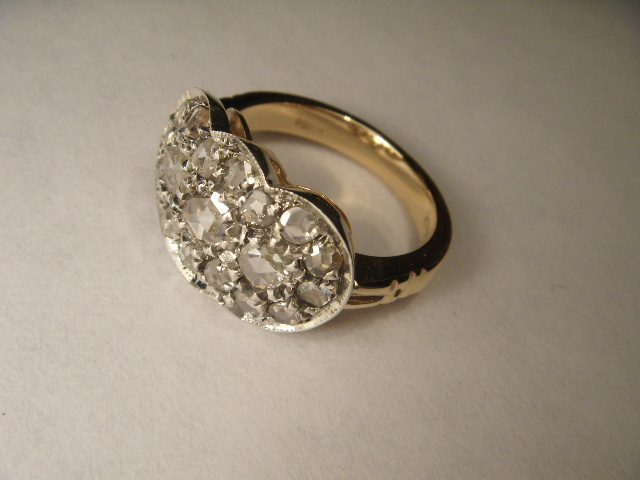 Set on the top of this ring are nineteen old miner cut diamonds weighing a total of .75 of a carat. 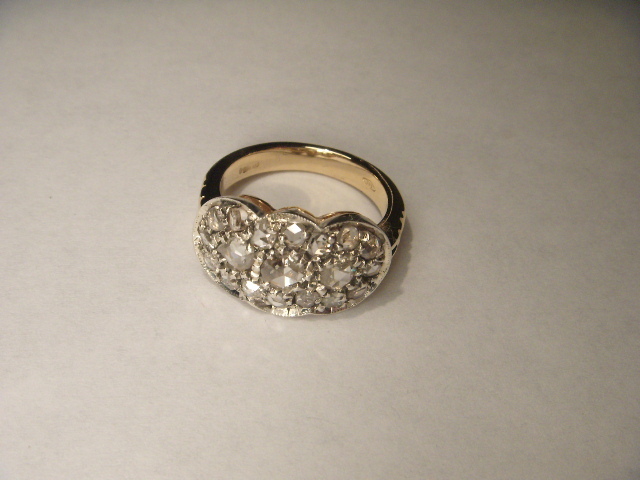 The top of the ring measures 7/8 of an inch long by 1/2 of an inch wide. It is a size 6.75. Sizing is available. The ring weighs 6.2 grams.